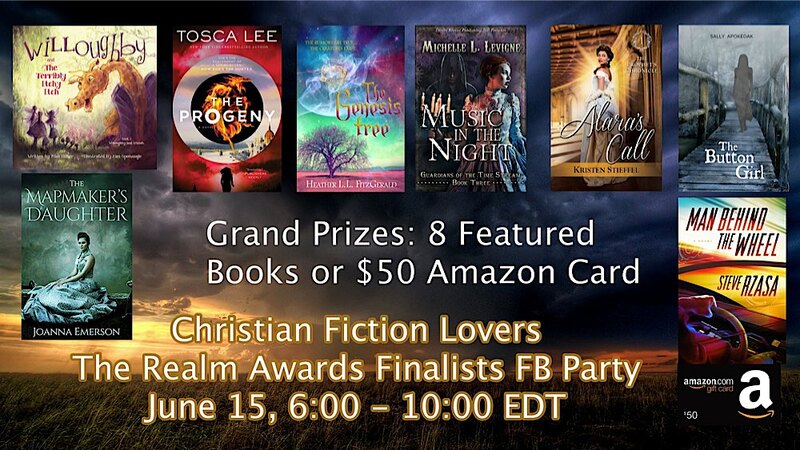 On June 15, eight of the finalists from the Realm Awards will present a Facebook Party. This will give you a chance to chat with me and some of the other finalists, including bestseller and former Realm Makers keynote speaker Tocsa Lee. Also, contests! • Click “Going” on the party Facebook page. • Share the party on your Facebook timeline. • Comment on a post by any two authors during the party. The participating authors may give additional prizes. For example, I’m giving away a signed paperback of Alara’s Call along with a journal and a $10 Amazon card and maybe another fun item or two! Each author will post the requirements for their individual prize. At 10:00 pm, organizer Tamera Lynn Kraft will announce all the prize winners. See the Facebook event page for the contest rules. Meanwhile, check out this guest post Tosca once wrote for us. The Realm Awards will be presented at the Realm Makers conference award banquet in St. Louis July 21.